February 22, 2017 – The final bills for this year’s legislative session have been introduced in Sacramento. There are 44 bills that could affect cannabis law and policy in California. 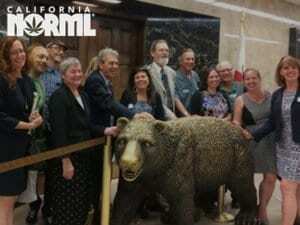 Cal NORML is consulting with our attorneys and others on positions and priorities on these bills, which we will be tracking and announcing hearings and votes on. Stay tuned to this page for updates. AB 6 (Lackey) – would have permitted the collection of oral swab tests for drivers who are lawfully arrested for driving under the influence of alcohol or drugs, now has been amended to form a task force on drugged driving. Cal NORML testified at the hearing in the Assembly Public Safety Committee on 2/28 asking for changes in the make-up of the task force. SB 65 (Hill) – would increase the penalty for smoking while driving to a misdemeanor. Cal NORML opposes. SB 698 (Hill) – would establish a per se DUID standard of 5 ng if the driver is also found to have a BAC between .04 -.07%. SB 67 (Bates) – for sentencing purposes on DUIs, would require the determination of whether an offense constitutes a separate violation or prior conviction under the driving-under-the-influence prohibition described above to be based on the date of the conviction of the separate or prior offense, and would specify that the determination is not affected by the sentence imposed or any subsequent action taken pursuant to discretionary sentencing. AB 903 (Cunningham) – Changes Prop. 64 to requires the department to use funds to establish and adopt protocols to determine whether a driver is operating a vehicle while impaired, including impairment by the use of marijuana or marijuana products. Requires 2/3 vote. AB 1443 (Levine) – changes government code 68152 section 15 (c) relating to court proceedings. AB 208 (Eggman) – would make the deferred entry of judgment program a pretrial diversion program. AB-1578 (Jones-Saywer) seeks to prohibit a state or local agency from using resources to assist a federal agency to investigate, detain, detect, report, or arrest a person for commercial or noncommercial marijuana or medical cannabis activity that is authorized by law in the State of California. AB 416 (Mathis) is a spot bill, open to amendment. AB 845 (Wood) would allow the prescription of CBD, should the federal government allow it. 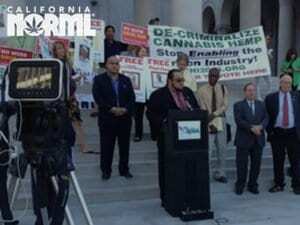 AB 1244 (Voepel) is a spot bill regarding the production of cannabis concentrates using butane. AB 76 & AB 175 (Chau) Adult use marijuana: Packaging and labeling. AB 350 (Salas) Marijuana edibles: appealing to children. AB 171 (Lackey) – would require regulators to report on the number of conditional licenses issued. 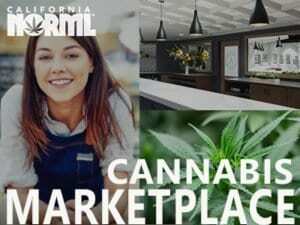 AB 238 (Steinworth) – would make it illegal for anyone with a state license to distribute marijuana to turn someone down for a job because they aren’t part of a union. The bill also states entrepreneurs applying for a business license can’t be denied simply because they employ people who aren’t unionized. AB 389 (Salas) – would require the bureau, by July 1, 2018, to establish and make available on its Internet Web site a consumer guide to educate the public on the regulation of medical and nonmedical marijuana. AB 420 (Wood) – would require an advertisement for the sale of nonmedical marijuana or nonmedical marijuana products to include, at a minimum, the license number of the AUMA licensee responsible for its content. AB 729 (Gray) – would require a licensee to post a sign that reads “No Person Under 21 Allowed,” expands on laws protecting minors, and codifies their use as informants. It would prohibit the sale of marijuana in vending machines and prohibits a licensee from being located within a 600-foot radius of a playground, hospital, or church. AB 948 (Bonta) – spot bill. AB 1143 (Gray) – prohibits outdoor advertising of marijuana. AB 1527 (Cooley) – prohibits employees from working in the cannabis industry for one year following leaving the Bureau. 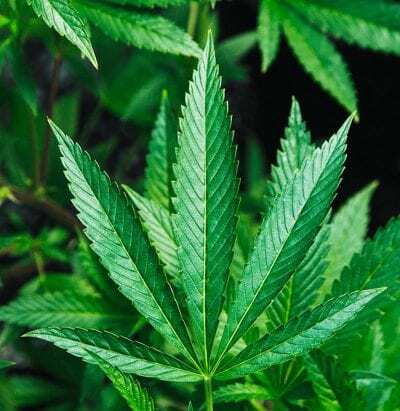 AB 963 (Gipson) – would impose specific criminal penalties, including fines and imprisonment, for certain violations of the provisions relating to the cultivation and excise taxes on marijuana. 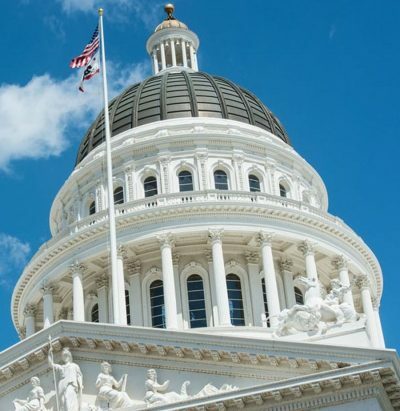 AB 1002 (Cooley) – would rename the program the Center for Cannabis Research and would expand the purview of the program to include the study of naturally occurring constituents of cannabis and synthetic compounds that have effects similar to naturally occurring cannabinoids. The bill would authorize the program to cultivate cannabis to be used exclusively for research purposes and to contract with a private entity to provide expertise in cultivating medical cannabis. The bill would also authorize the controlled clinical trials to focus on examining testing methods for detecting harmful contaminants in marijuana, including mold and bacteria. AB 1135 (Wood) – would require the State Department of Public Health and the State Department of Education to establish an inclusive public stakeholder process to seek input from stakeholders to determine a disbursement formula for the funds provided to the State Department of Health Care Services from the California Marijuana Tax Fund and would require the findings of the stakeholder meetings to be given to the State Department of Health Care Services and considered by that department when determining funding priorities for those moneys. AB 1410 (Wood) – would enact the cultivation tax at the distributor level. SB 148 (Wiener/Atkins) – would allow local agencies to accept cash payments from marijuana businesses. AB 362 (Wood) limits the amount of money that can be loaned to the Department of Fish and Wildlife for activities to address environmental damage occurring on forest lands resulting from cannabis cultivation to $500,000, until July 1, 2017 (the end of the current fiscal year). AB-1254 (Wood) – nonsubstantive changes to Fish & Wildlife code. AB-1420 (Aguiar/Curry) – Water rights: small irrigation use: lake or streambed alteration agreements. 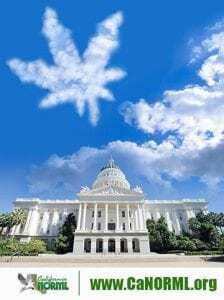 AB 1096 (Bonta) – would state the intent of the Legislature to enact legislation to address state regulation of medical cannabis grown on, but transported out of, tribal lands. AB 285 (Melendez) – allows prescription drugs in drug and alcohol-free residences.